A controversial study of the electric grid, requested by Energy Secretary Rick Perry in April, is finally expected to be released this month. And to some experts, its exact purpose remains, well, questionable at best. But the request has sparked alarm among renewable energy advocates, some of whom are bracing themselves for a report they fear will become a vehicle for the Trump administration to attack wind and solar energy. These fears are compounded by the fact that the person Perry has appointed to lead the study is Energy Department political appointee Travis Fisher, a former economist from the right-leaning Institute for Energy Research, who has previously criticized the existence of federal tax credits for renewable energy. And while the report’s findings are still to be seen, other energy experts say the motivation for the study — and what it will actually accomplish once released — remains murky. The study seems to rely on several inaccurate assumptions, they say, and its purported goal of protecting grid reliability may actually be threatened by the Trump administration itself. In its most recent 2018 budget proposal, the White House has proposed significant budget reductions for the Department of Energy, including cuts to the Office of Energy Efficiency and Renewable Energy, the Office of Nuclear Energy and the Office of Electricity Delivery and Energy Reliability. 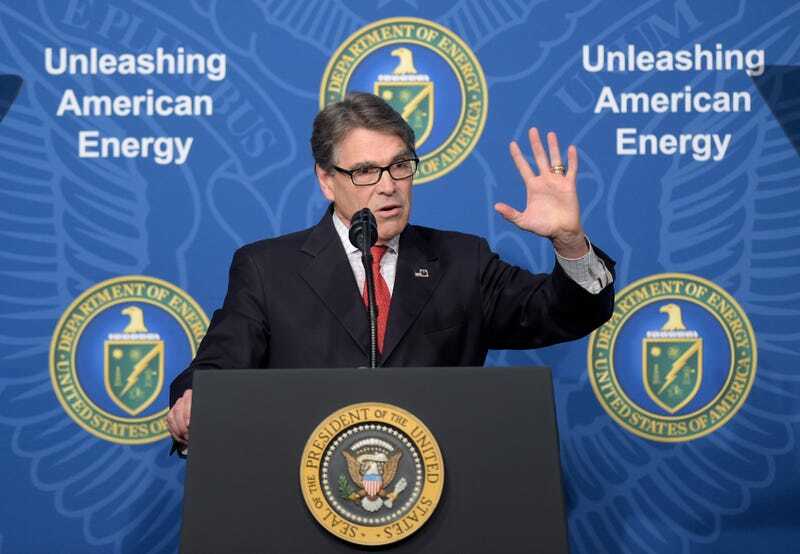 The latter two programs, in particular, would seem to support research that’s directly related to Perry’s interest in supporting baseload power plants and safeguarding grid performance. A more optimistic perspective, he suggested, is that the forthcoming report is intended to be used as a kind of “road map” for the federal government and interested states to explore and prepare for the challenges that may face the grid as the U.S. energy landscape continues to evolve. But its contents, once they’re revealed, will speak volumes about whether this is actually the case. Perry’s request is based around the idea that “baseload power is necessary to a well-functioning grid,” as he writes in his memo — and that recent closures of baseload power plants are threatening the grid’s reliability. By “baseload,” he’s referring to power plants, such as coal and nuclear plants — both energy sources favored by the Trump administration — that are able to produce a constant supply of electricity to satisfy minimum demand. Wind and solar, on the other hand, are what’s known as “intermittent” energy sources because they can’t be harnessed in the same location all the time — they only provide energy when the sun is shining or the wind is blowing. While small communities with their own microgrids and battery storage systems may be able to power themselves entirely on renewable energy, for the U.S. as a whole it’s true that intermittent sources alone would be unable to meet energy demands around the clock without significant improvements in energy storage technology, which would enable utilities to save up energy as it’s generated and deploy it later as needed. But much of the controversy surrounding the grid study stems from Perry’s implication that federal policies, including subsidies for renewables, are responsible for edging baseload power plants out of the picture — and that they’re doing so to an extent that they “create acute and chronic problems for maintaining adequate baseload generation and have impacted reliable generators of all types,” as Perry writes. These suggestions rely on inaccurate assumptions about both the energy market and the grid, said Ryan Fitzpatrick, deputy director of the clean energy program at centrist think tank Third Way. For one thing, the challenges facing baseload power plants are hardly being driven by federal policies alone. In fact, the greatest single factor in the decline of coal has actually been the rise of cheap natural gas, Victor noted — not renewables. Coal has just been unable to compete. That’s not to say there are never any problems with the U.S. grid system. Just last weekend, a blackout in California’s San Fernando Valley, which officials say was likely caused by an intense heat wave and excessive energy demand, left 140,000 people without power. For the time being, Fitzpatrick said, it’s unlikely that any reliability issues have much to do with the growth of renewables, which currently only account for about 15 percent of U.S. electricity generation. The San Fernando Valley incident actually speaks both to the need to replace aging infrastructure around the country — the outage was reportedly sparked by an explosion at a transformer more than 40 years old — and the strains that future climate change may place on the grid in the form of increased energy demand. Fitzpatrick also suggested that other issues with grid reliability are more likely to stem from the nation’s increasing reliance on natural gas, which recently surpassed coal as the country’s leading source of electricity generation. “The more you rely on any one fuel, the more challenging it can become to manage unexpected or unanticipated or rare obstructions,” he said. Indeed, some experts suggest that expanding renewable energy sources and investing in the increased flexibility of the grid, which was originally designed to be supported mainly by baseload power sources, is the way to go. A report recently commissioned by the Natural Resources Defense Council, for instance, suggests that grid planners should be “technology neutral” instead of focusing on designing electricity systems around baseload power sources. As market forces continue to phase out more expensive power sources like coal and support the expansion of alternatives, the report suggests a variety of strategies to deliver lower-cost mixes of energy, including taking advantage of resources like energy storage technology, utilizing hydro or natural gas-fired plants that can more easily ramp up and down in response to demand, and providing incentives for consumers to reduce their energy consumption at certain times to reduce pressure on the grid. That said, as intermittent energy sources continue to expand, there are some legitimate questions about their effect on grid performance, Victor pointed out. Continued research on energy storage technology and more efficient electric power transmission will be key in the continued integration of renewables on the grid. “There’s a really big technical debate about how much renewables, at what cost, you can bring onto the grid and still keep reliability high,” he noted. There may still be some room for debate about this exact value, and several academic studies in the past few years have come to different conclusions. The point, though, is that these questions have been asked over and over already — and research from both the federal government and independent scientists suggests that renewables can expand a lot further before they begin to threaten the grid’s reliability. These days, energy markets are influenced by state-level policies, such as renewable energy portfolios, far more than federal ones — and the report will almost certainly have no authority to change them. It’s true that federal tax credits for wind and solar have provided significant benefits for the renewables industry, but these have already been extended by Congress through the year 2021 and are unlikely to change before that time. Fitzpatrick noted that this doesn’t mean the report’s contents couldn’t still create difficulties for the renewable energy industry in certain ways. According to Victor, there are many legitimate questions that remain about the future of grid reliability, the integration of renewables and the influence of power markets on these issues — and a reasonable, unbiased report from the Department of Energy could help to further some of these discussions. Should the final report be viewed as an unfair attack on renewable energy, though, the hope of any productive discussions coming out of it may be lost.